Innovative Spaces that Increase Student learning through Engagement and Rigor. 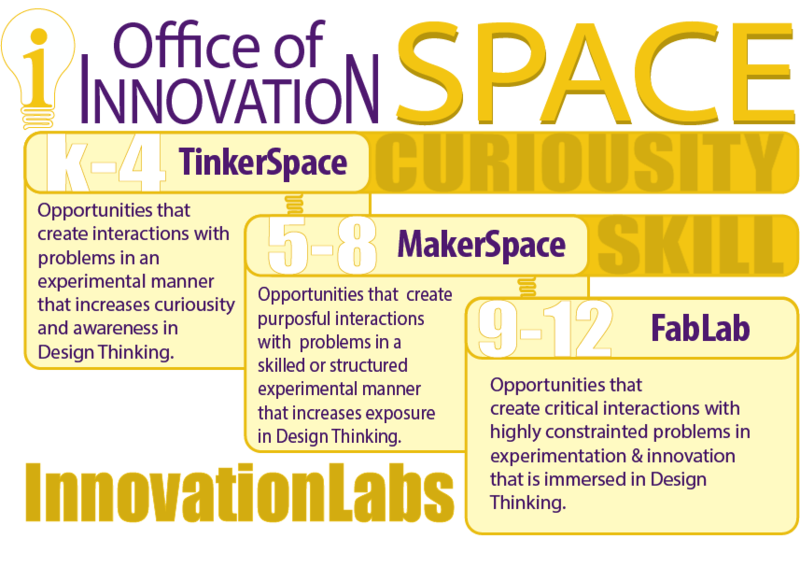 The Office of Innovation in the Reynoldsburg City School District believes these innovative spaces are an essential compliment of innovative education that focus on 21st Century Skills and Habits of Mind. Spaces where children can use design thinking, inquiry, and creativity to develop skills that are critical to success in the emerging world in which they will live. These spaces encourage practical and problem-based use of all educational disciplines in solving real issues in our community and the world. Community and businesses working collaboratively with student interns to develop solutions to challenges and problems.